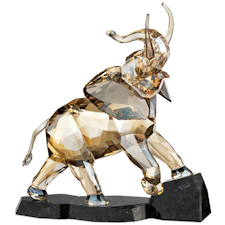 Welcome to The Prudent Collector where we're very pleased to provide you with a wonderfully diverse selection of all your favorite brands of porcelain figurines, art glass, crystal, art pottery, jewelry and other fine collectibles. You'll also find plenty of fascinating information about your favorite collectibles as well as helpful tips and collecting advice. Our desire is to help you acquire the collectible items you love for the best prices possible while also helping you to become a shrewd buyer and well informed collector. 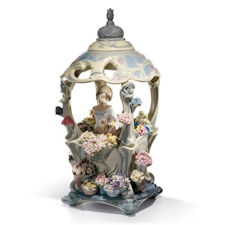 Here at The Prudent Collector you'll discover a fantastic selection of breathtakingly beautiful porcelain and crystal figurines including Lladro figurines, dazzling Swarovski crystal figurines, classically styled Giuseppe Armani figurines, whimsical Hummel figurines and Beswick figurines to name just a few examples. 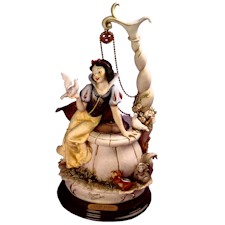 In addition to Giuseppe Armani's delightful traditional Capodimonte figurines you'll also find an excellent selection of Giuseppe Armani's Disney figurines. 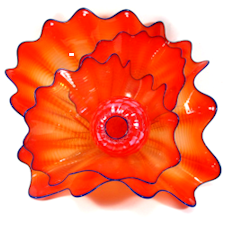 You'll also find an impressive variety of art glass from renowned glass studios and artists such as Dale Chihuly, the Lotton family, Carl Radke, Lundberg Studios, Steven Correia, Richard Satava, Robert Eickholt. 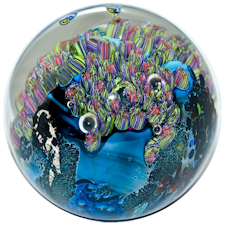 And make sure to check out two of our personal favorites, Orient and Flume paperweights and Josh Simpson glass planets - both are truly breathtaking examples of contemporary American art glass at its finest. 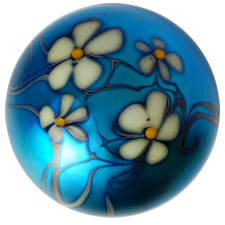 Our site also features a great selection of vintage American and European art glass including Fenton glass, Blenko, Durand Glass, Quezal and Loetz. 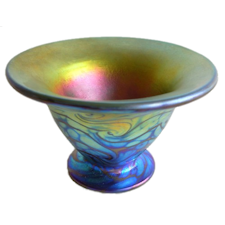 You can find even more unique and talented glass artists on our blog as well. 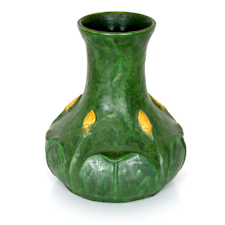 In addition we are also proud to showcase a terrific assortment of art pottery including Ephraim Faience pottery, Clarice Cliff Bizarre Ware, Van Briggle art pottery, Roseville and Weller Pottery. And be sure to browse our selection of fine porcelain including Royal Copenhagen Porcelain, Meissen, and Royal Doulton. Be sure to also check out our featured items this week - autographed figurines. Come back often to see our latest featured items and sellers. You never know what sort of treasure you might find! 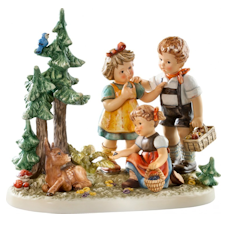 While visiting our site peruse our helpful and informative guides on identifying Lladro marks and Hummel trademarks. Knowing these marks is an excellent way to date as well as authenticate your figurines. Also be sure to read our guide on how to properly clean figurines and other delicate collectibles. And also be sure to check out our art and collectibles news blog. It's regularly updated with the latest news and information about notable collectibles, art gallery exhibitions, up and coming artists and much more. And if you have an interesting story to share about a great find you made or meeting your favorite artist send it in. We'd love to feature it on our blog!